Ruth Ann Baldwin 1915 | Flickr - Photo Sharing! Writer, screenwriter and film director. 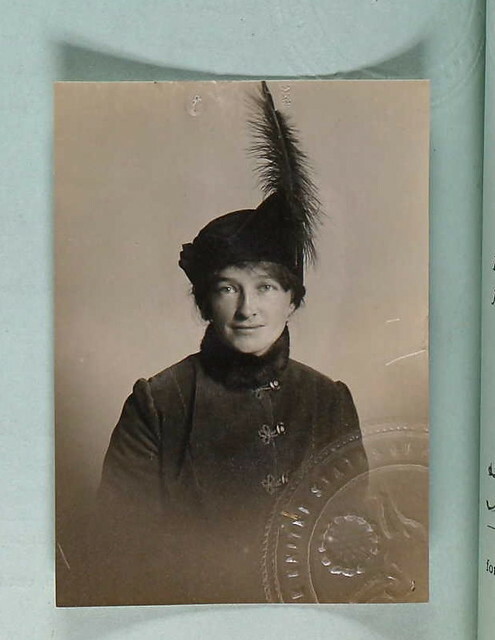 Ruth Ann Baldwin applied for an emergency passport at the US Embassy in London on 22 Feb 1914. She wished to extend her passport to include a trip to France before her return to the US. Her citizenship was attested to by John D. Lippett, managing director of the Trans-Atlantic Film Company. She was born 30 Sep 1889 in West Suffield, CT, and married, about 1916, actor Leo O. Pierson.